I'm often asked which pens, pencils, rulers, etc. I use to create my art, especially when someone sees something on one of my Instagram posts. Rapidographs are precision technical pens, normally used for drafting; I've co-opted them for my detailed drawing. 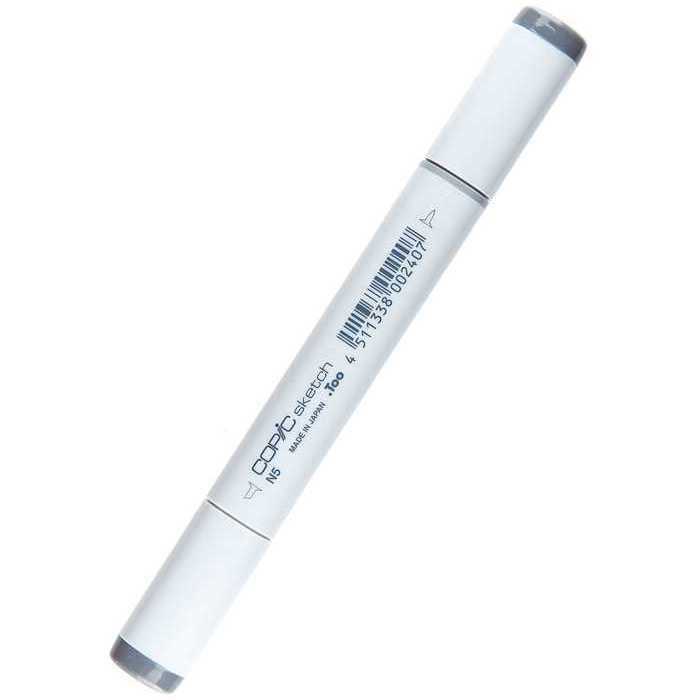 I use this pen size for drawing outlines. 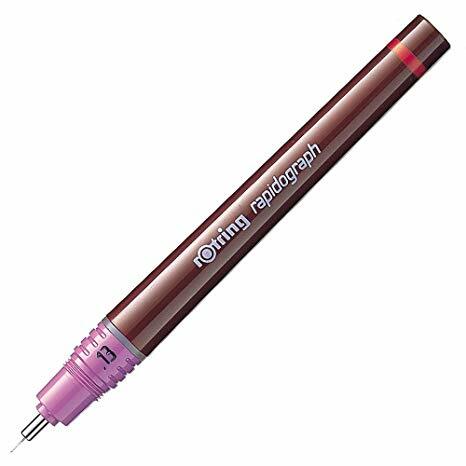 I prefer Rotring's Rapidograph pens over Rotring's Isograph pens or Koh-i-Noor's Rapidograph pens. Rotring's Rapidograph pens utilize an ink cartridge instead of a refillable well. In my experience, the cartridge construction requires less maintenance than the other available versions of this pen. Interestingly, while the .10mm tip of this pen is technically smaller than the .13mm version (below), the line it produces is thicker than the .13mm version. 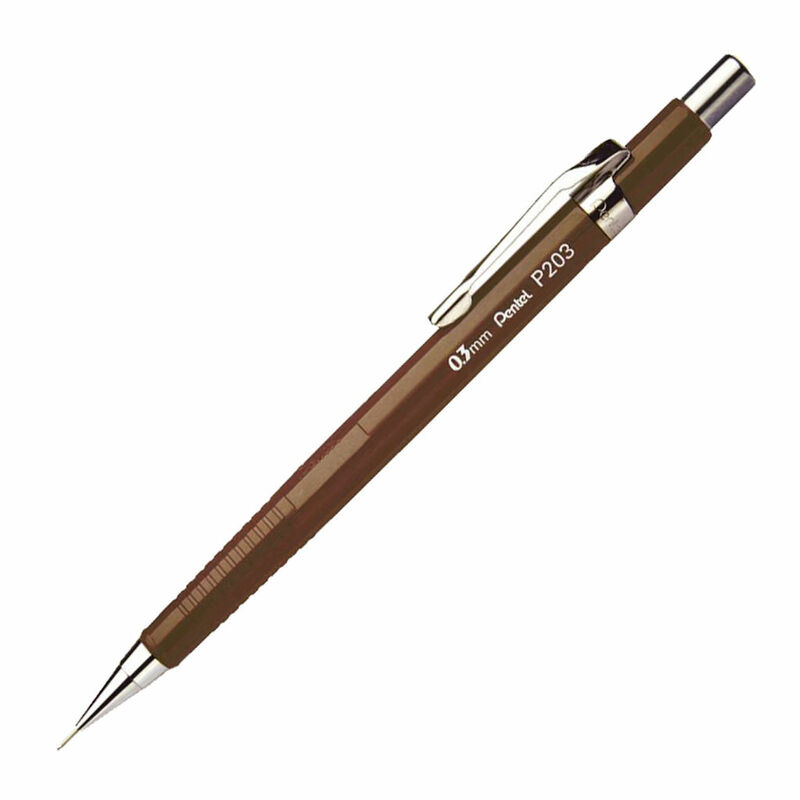 This is the same pen as above, just in a .13mm size. Note that despite a size indication of .03mm larger than the .10mm pen, it produces a line that's thinner. If you've found a pen that draws a line thinner than this one, PLEASE LET ME KNOW ABOUT IT! Rapiographs are unlike the roller/gel/marker pens you're used to using. They use a very fine chrome-plated needle housed in a cylinder. This means they are "scratchy" to use, and the ink doesn't flow anything at all like disposable pens. Rapidograph pens need you to build a relationship with them. They require an investment in money and in time; in learning how to use them, care for them, and how to maintain them, including while you're drawing. You have to use quality drawing paper meant for inking and drawing. If you prefer maintenance-free disposable pens, this pen might not be right for you. With that said, I haven't found anything else that draws a line as thin as this pen; for me, the investment pays dividends every single time I use it. The second most frequent question I get is: "How do you make those shadows?!" Judiciously placed lines with a Copic N1, N3, or N5 marker; that's it. This is, by far, my every day go-to pen. I use it for everything: doodling, final art, sketching… whatever. It's an all-around solid performer. I'm constantly trying new pens, and I continually come back to this one. I love the shape, the grip, the feel, and the weight; the entire package just works perfectly for me. I've been using the new "needle" version of this pen with the new super-slim profile tip, but otherwise, it's exactly the same pen. I have been using this model (in various sizes) of Pentel pencil since forever. Why? I love its super-light weight, yet sturdy feel. I dig its machine-like reliability. It's serviceable, and – with the exception of the .3mm pencil – it's ubiquitous; you can find it in almost any store that carries pencils. Lastly, they're not too expensive for a great mechanical pencil. I'd actually pay a decent amount for a better pencil… but I haven't found one. I love this tool and I'm a big fan of this company's products. 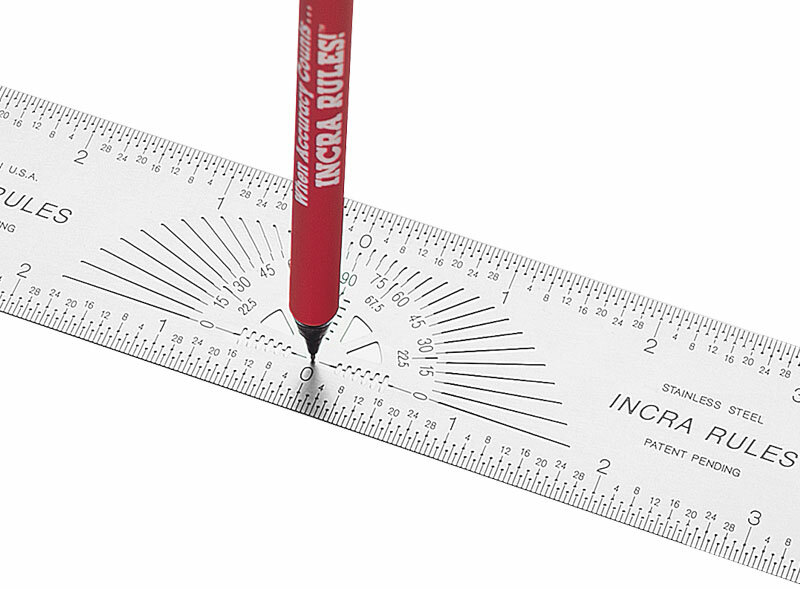 I use Incra rulers for drawing, but also extensively in my woodworking shop. They're simple, well designed, and well built. This ruler allows you to find the center of things; I use it to find the center of my paper, so I know where to position my art. It includes small marking holes every 1/32" that fit my P203 pencil (above) perfectly, and includes a built-in protractor. 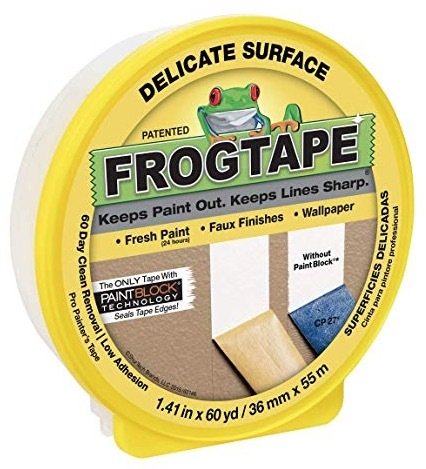 This is the yellow tape you see on my art while I'm working on it. It protects the non-drawing areas of the art from dirt, stray marks, and other accidents. So far, as long as I go slowly, go carefully, and take my time, it's come off of the paper without causing any damage. NOTE: I make a small amount of money when you click on an Amazon link and buy the product. JetPens links are not affliate links.